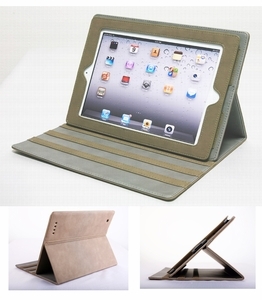 This your must-have versatile iPad 2 leather cover. It enables your iPad2 to be inclined in 3 different angles to suit all your postures whether at work or play. When closed, it looks just like a normal high quality leather case. This product comes in Maroon or Brown (shown). When ordering do remember to select the color option that's right for you.